How you set up security will depend on the needs of your organisation. 1.2. A drop down menu will appear, select 'Setup'. 1.3. A new window or tab will open. In the quick search bar on LHS type 'sites'. These instructions are for older versions of Salesforce. 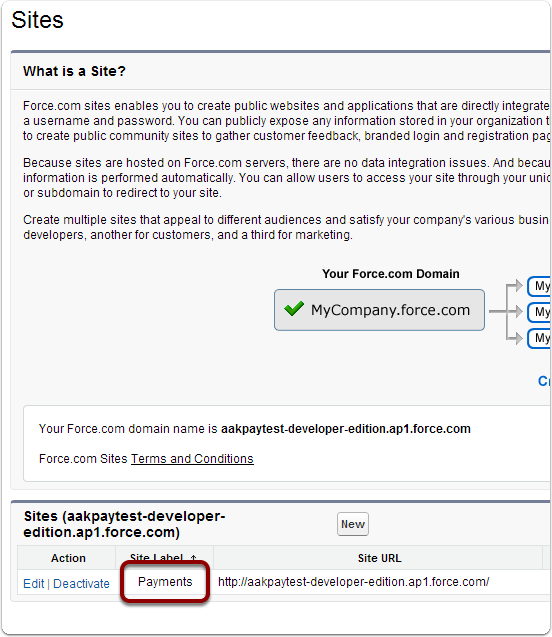 If the diagram does not match below, follow these instructions (enhanced version of Salesforce) to revert Salesforce back to the older version. 4.4. 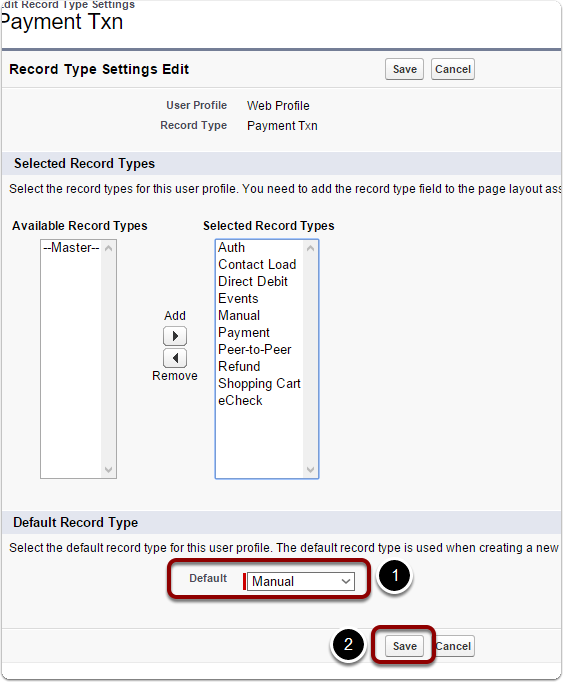 Set the 'Default Record Type' to Payment and Save. 5.1. 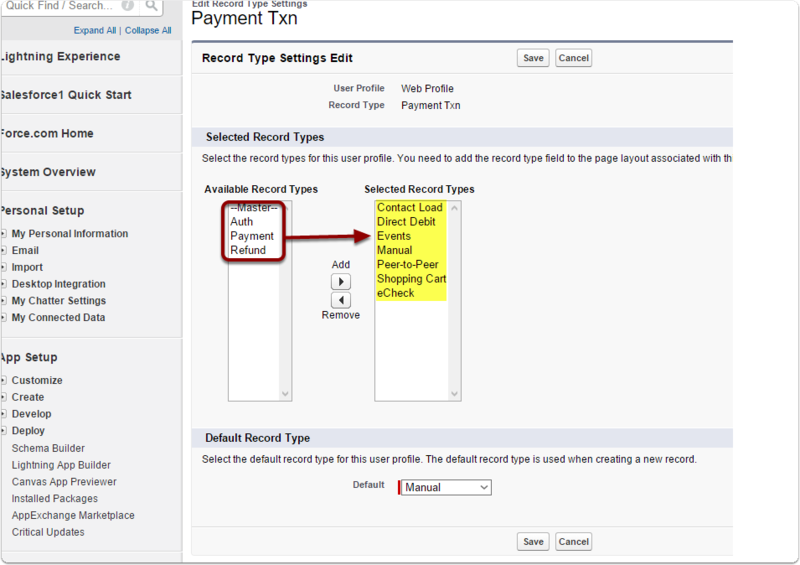 Scroll down to 'Standard Object Permissions' on the Payment Profile screen. 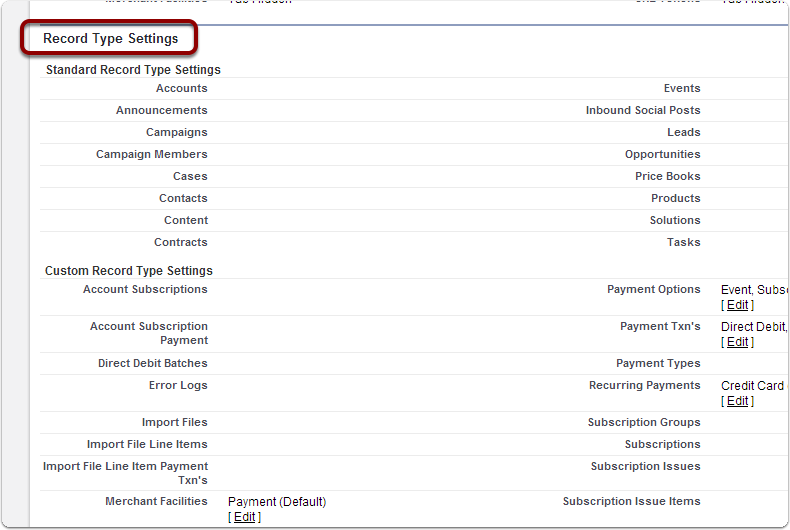 Zoom: Scroll down to 'Standard Object Permissions' on the Payment Profile screen. 5.3. 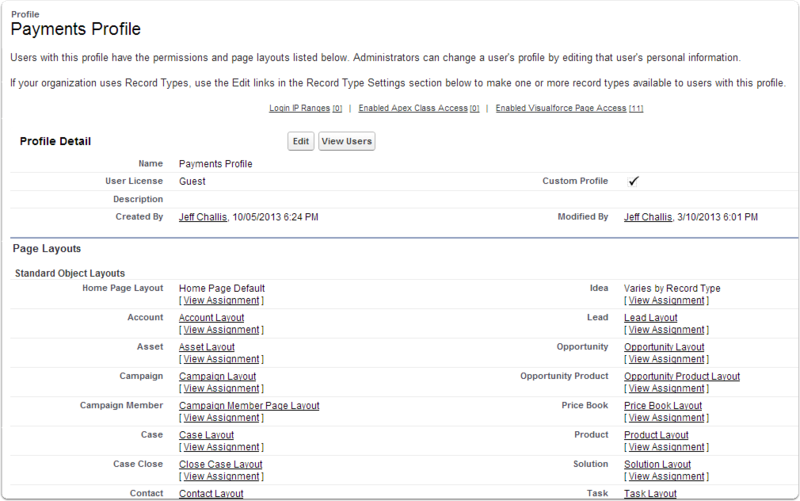 Match the permissions shown below. You may need to scroll across to see all the diagram. 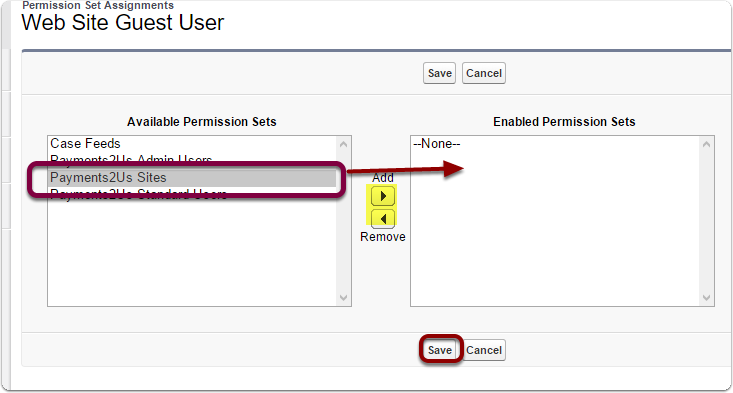 Zoom: Match the permissions shown below. 6.1. 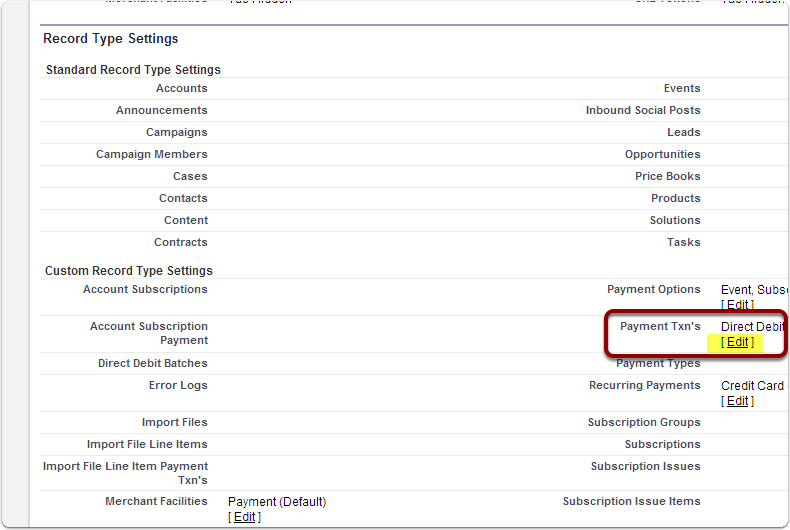 Select 'View Users' on the Payments Profile screen. 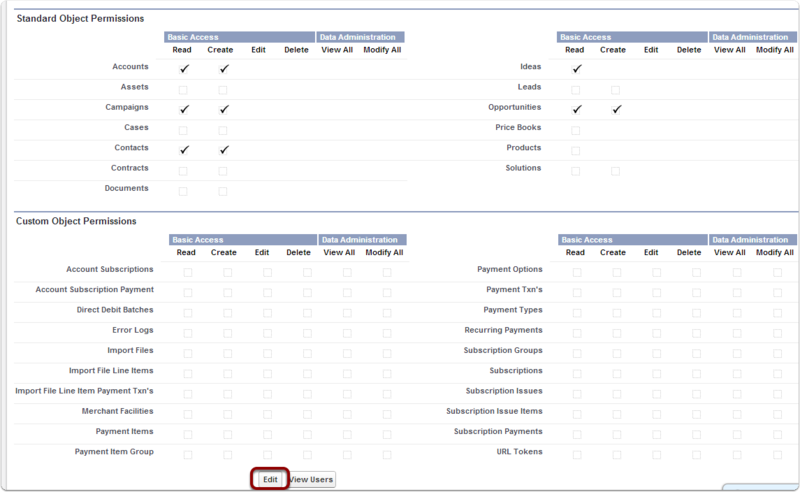 Zoom: Select 'View Users' on the Payments Profile screen. 6.2. 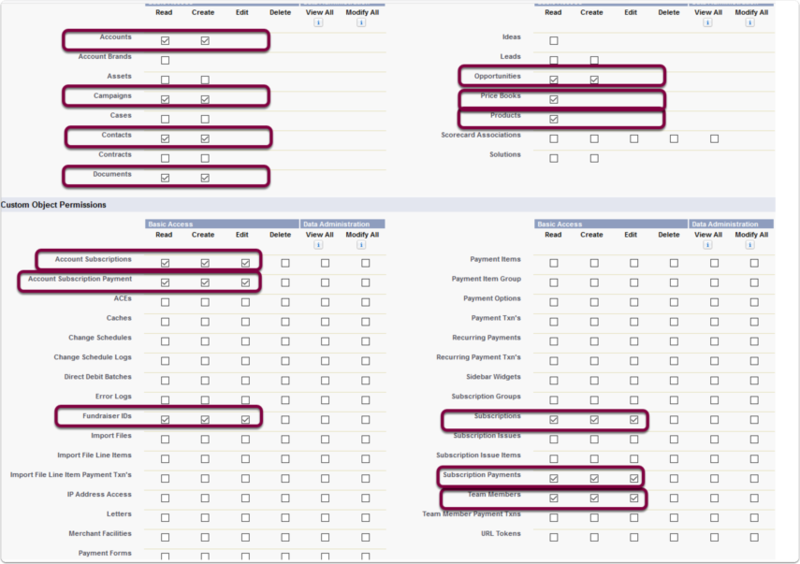 Select user to be assigned Payments2Us access. 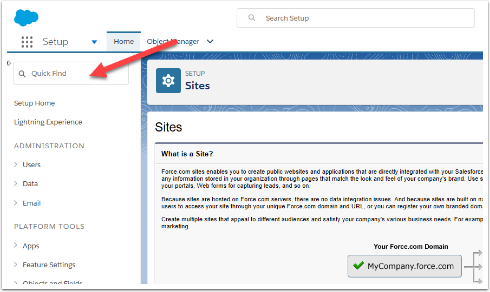 You may wish to edit the name of the Sites User Names and email as this is the one the payment receipts will come from by default. Also, check the timezone to make sure it is your local time zone so that payment creation dates reflect the right date. 6.5. 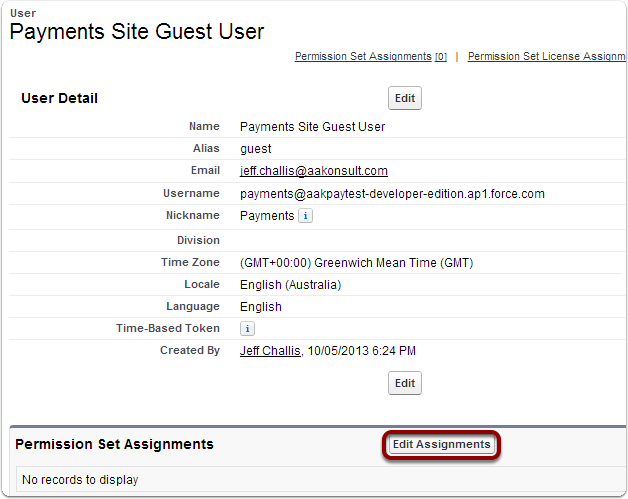 Add 'Payments2Us Sites' to the Enabled Permission Sets. 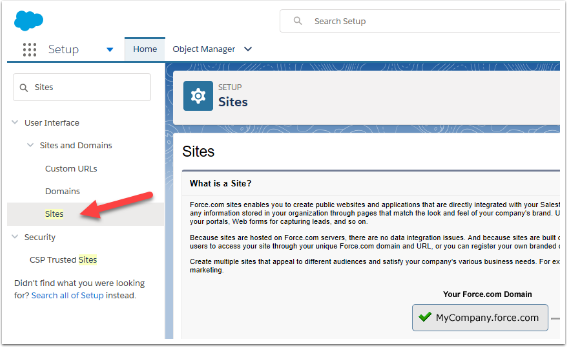 Only follow this step if you originally unticked the Enhanced Version of Salesforce for a simpler set up.